A new study has revealed dramatic findings that could provide the answer to the UK’s on-going challenge to reduce the widespread routine use of antibiotics in calves being reared for the food chain. Research showed an average 43 per cent drop in the administration of antibiotics to calves that were treated with an oral non-steroidal anti-inflammatory (NSAID) Solacyl®. Almost one million beef calves coming from the dairy sector are reared annually in the UK. The majority are initially reared at specialist units, typically from around four to five-weeks-old to four to five-months-old. This is a high-risk period for calf pneumonia and consequently when antibiotics are used most frequently. The issues are put under the spotlight in a new white paper from Dechra, “Enhancing welfare and combating antimicrobial resistance while maintaining productivity on calf units”, available for download here. The paper also documents the results of the research, which found that using Solacyl as an alternative could reduce overall antibiotic use by an estimated 4.4 tonnes per year. This would support the drive to reduce the use of antibiotic drugs in livestock, to avoid the growing human resistance to antibiotics. Solacyl has the active ingredient sodium salicylate. It is a powder given in water, milk and milk replacer or wet feed and has a zero withdrawal period. Unopened bags have a three-year shelf life and opened bags can be stored for up to six months in the appropriate conditions making it a cost-effective solution for farmers. The research was carried out at three English calf rearing units, raising four groups of beef calves from different dairy farms between November 2017 and May 2018. The 258 calves were given Solacyl under the cascade for five days on arrival at the units, which is a high-risk period for animals to contract pneumonia. This resulted in a significant reduction in antibiotic use averaging out at 43 per cent across the total study and revealed no adverse affects on calf performance or welfare. 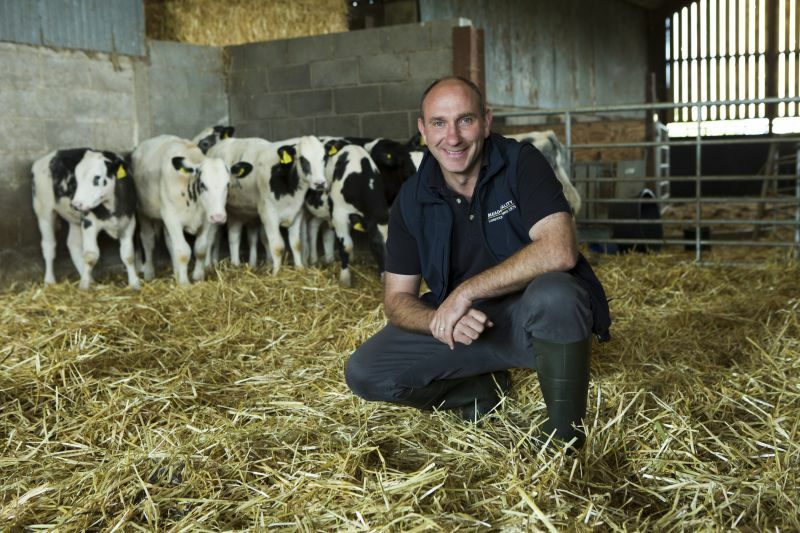 Dairy veterinary consultant Owen Atkinson BVSc DHCP MRCVS, a Royal College of Veterinary Surgeons recognised specialist in cattle health and production, carried out the research. He said: “Antibiotic resistance is an issue for us all. It has been identified as potentially a more critical problem than terrorism and that’s because if antibiotics fail in human health or human medicine then that has implications on so many aspects of medicine. “I was involved in analysing the data and the data showed that there was no significant difference in growth rates or in mortality or in days to reach a target weight in the calves that had Solacyl, compared to previous batches of calves that had followed a prophylactic antibiotic protocol. Dechra Farm Animal Veterinary Adviser, Alana McGlade added: “Sodium salicylate has the same fever controlling, pain managing and inflammation reducing benefits in livestock as aspirin can have in humans. The results of the research will be presented at the BCVA Congress in October 2018.